Middle-order batsman Darren Bravo was recalled on Wednesday, 05th December after two years gap as the West Indies named a 15-man squad for their three-match ODI series against Bangladesh. 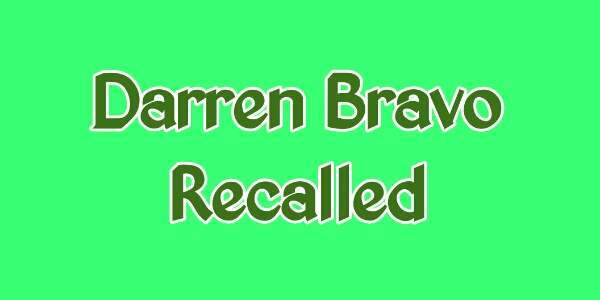 Darren has played his last ODI against Pakistan in October 2016, but returns after featuring in the West Indies’ recent T20 series in India. T20 skipper Carlos Brathwaite and Roston Chase were also brought back for the same on Sunday. Debutants Fabian Allen, Chandrapaul Hemraj and Oshane Thomas performed well recently so, they have retained their places in the team.